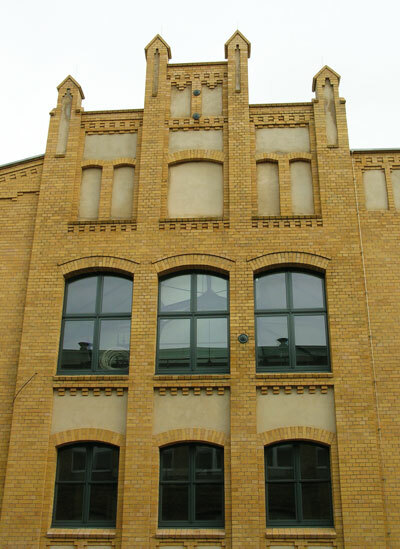 What is now the Atelierhaus 79 dates back to the Gründerzeit era of the late 19th Century and is located in the former industrial section of Oberschöneweide in southeast Berlin. It was one of the production plants of the Niles Machine Tool Factory, later the AEG Transformer Station of Oberschöneweide (AEG-TRO). Today, the site in Oberschöneweide is considered the largest industrial monument in Europe and is being transformed into a spectacular new centre of art and culture in Berlin.